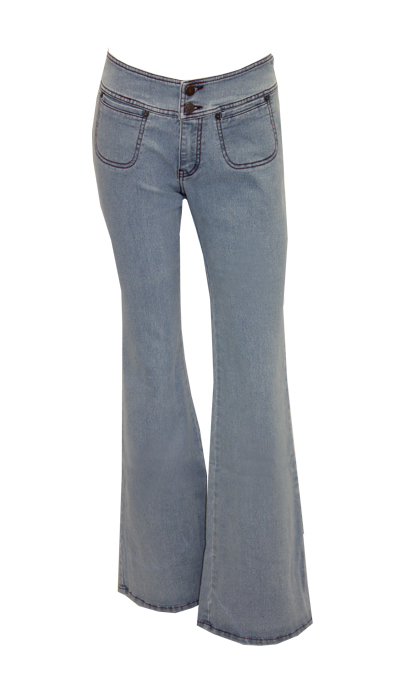 Comfy retro blue denim colour Jeans with higher waist. Made from our Polly/Cotton/Spandex Stretch fabric it has a higher amount of stretch then most of our jeans. Perfect for curves the bottom features dart seams for a better fit and a wide waistband for comfort. 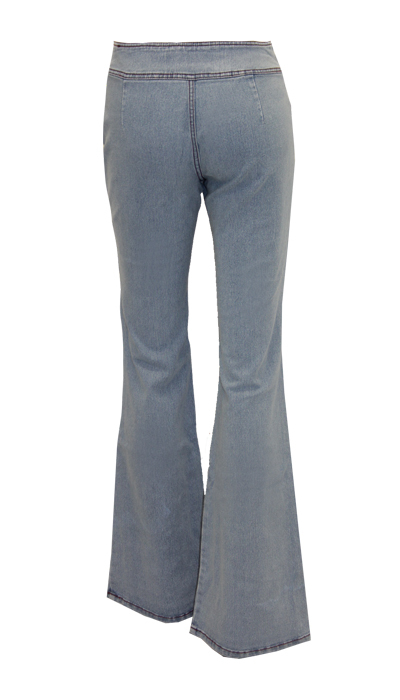 Features two button with zip fly, small flat front pockets and our bootcut/mild flare legs.